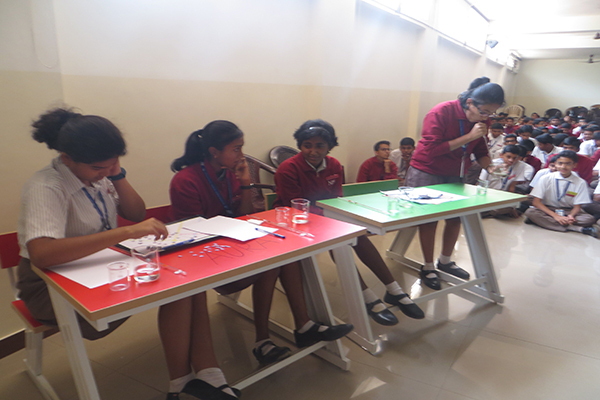 The Science Association of National Public School, Yeshwanthpur organised the 'Fun with Science' for the students of Classes 9 and 10. 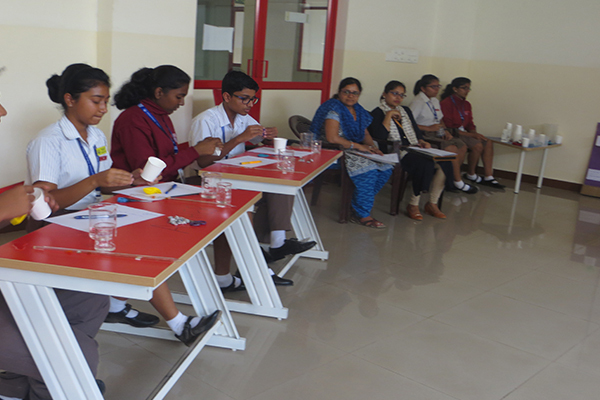 After the preliminary round of 'Design a Game on any Science Concept', 8 Students from 4 houses were selected for the final round that was held on 18 August 2018. In the first round the students were made to do 2 activities for one minute each and were expected to describe the scientific concept involved in these games. As the third activity students were asked to make a catapult with the given materials and demonstrate its function. 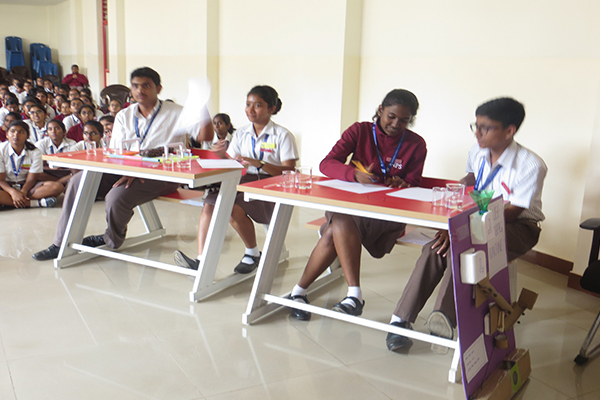 In the second round students were made to present the games designed by them in the preliminary round. The activity helped them understand and identify the scientific concepts behind the fun activities, it also kindled their creative bend of mind. The audience found the competition very interesting and applauded each participant. Explore and Experience the World of Science !! !